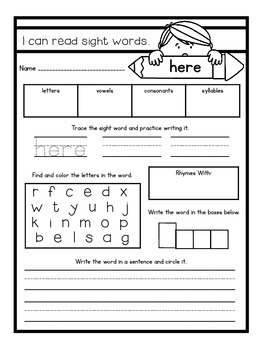 Are you looking for ways to enhance sight word recognition and mastery in your classroom? Then this NO PREP product is for you! 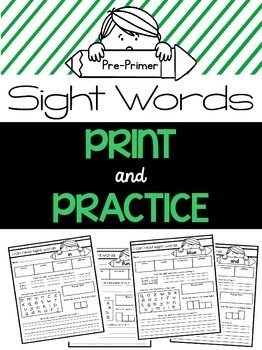 These printables are perfect for introducing sight words to your kids one word at a time. 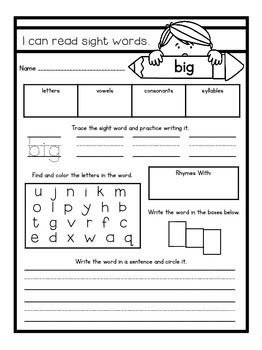 Students will recognize and practice sight words with fun and familiar activities. 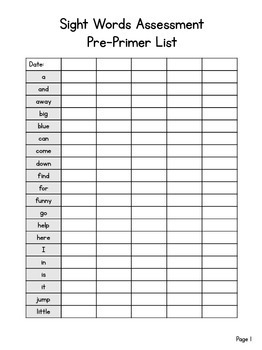 This resource can also be used as a tool for intervention or reinforcement. I've also included an assessment sheet to track data for individual students. If you like this product, check out my other resources! Buy the BUNDLE & SAVE!